“We don’t get burned out because of what we do. We get burned out because we forget why we do it.” Jon Gordon, co-author of, “Life Word,” with Dan Britton and Jimmy Page. “Life Word,” will help you clarify, pursue, and express your legacy. Define your power by identifying your gifts and strengths. What strengths have I developed over time? What strengths or gifts do your close friends or family members see in you? Gifts you are naturally born with; strengths you develop. Determine your purpose by identifying your calling and cause. Out of struggle comes calling and cause. The adversity you face today could be the very thing that prepares you to live a life of purpose tomorrow. Your mess becomes your message. What am I made to do to fill that need? Discover your passion by discovering your motivation and energy. What energizes me to take action and motivates me to make a difference? Where do I invest most of my time, resources, and money? What matters to me deeply? How might leaders live their legacy today? How might leaders live their legacy today? If they understand their “calling” Leaders should have their “power statement” of who they are, and what they stand for. Often time leaders have to understand themselves, before they can understand others. I love the line “Your mess becomes your message.” Many leaders are stymied by the challenges and chaos they face. 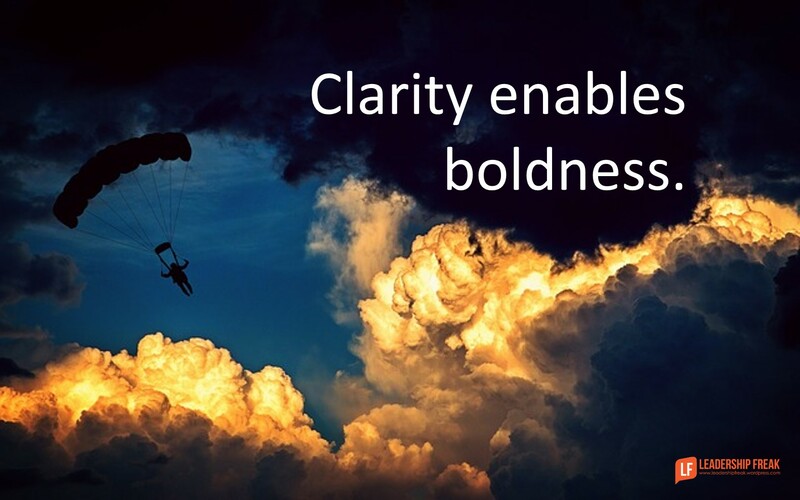 Others find the cloudy areas liberating– allowing them to leave behind those attitudes, thoughts and behaviors that limit to make space to embrace those that bring clarity. J.R.R.Tolkien put it this way, “Not all those who wander are lost.” One’s life word focuses insight and effort on that which matters– and through the fog finds a way that is driven by purpose. Thanks Chip. Love the Tolkeien quote. I think I need to practice it a bit more. I find lack of focus a bigger challenge than you might expect. All the urgencies we face end up as potential distractions! I do not disagree with too many things that have ever been posted, but I do have to take some umbrage with “We don’t get burned out because of what we do. We get burned out because we forget why we do it.” Those of us in emergency services do indeed get burned out because of what we do. I agree that “burn out” can indeed happen because of loss of motivation, focus, or calling. Mr. Gordon, et. al. are certainly on point there. However, to paint such a a broad stoke swathe such as that, misses (or at least glosses over) fire, police, military, EMS, those in the hospital setting, etc. Perhaps a blending of his “burn out” message due to forgetting purpose along with direct/indirect effects of the very nature of their jobs (read: calling) on the aforementioned individuals would further lend applicability of their message to those outside of a strict “corporate-type” or similar environment.